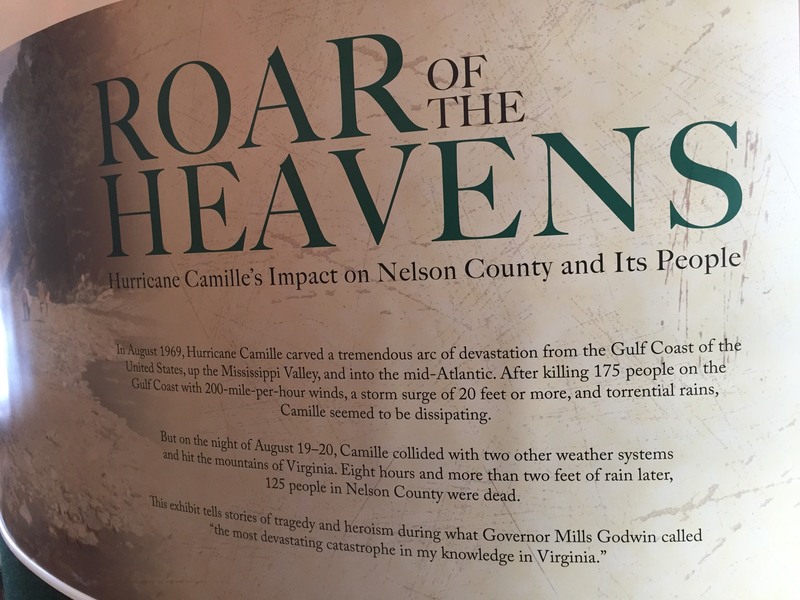 The Camille Resource Center at Oakland Museum tells the story of Hurricane Camille, the second most powerful hurricane to make landfall in the United States. Through the use of documentaries, listening stations with interviews from survivors, and displays showing the areas impacted and stories of heroism and survival the story of that storm's effect on the County is captured. The Center's database includes hundred of photographs, videos, newspaper articles, and publications related to the storm and its impact on Nelson County. All are available for use by the public. ​The Nelson County Community Fund, the Smyth Foundation, the Charlottesville Area Community Foundation and private donors funded the development of the Camille Resource Center.